This renovation project required a very specific look; the clients, Beth and Andrew, wanted an industrial style flooring in keeping with the original building. The site in Dulwich, London was a Victorian dairy and the project was featured on Channel 4’s Grand Designs. Polished concrete offered the ideal solution for their industrial flooring options, with its hard, durable nature lending itself to perfectly to such an interior. 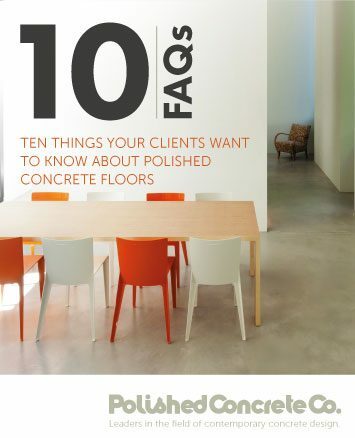 Beth has a design company called Imperfect Interiors and she was well aware that Polished Concrete is not a cheap solution, but whilst she was looking for a good deal, she was prepared to pay for the right company to create her floor. Beth and Andrew visited our Polished Concrete showroom, which is situated in our warehouse in Croydon. Whilst our warehouse is not the most glamorous of locations, we have the luxury of having lots of industrial style flooring in a variety of colours and finishes — something that’s unique in London. They wanted their polished concrete floor to look old, and were happy for it to crack and have imperfections. This kind of natural look with a soft undulation pattern is found in Ardex Pandomo flooring — unfortunately we couldn’t provide the cracks! They wanted a bespoke colour: a typical grey concrete colour. 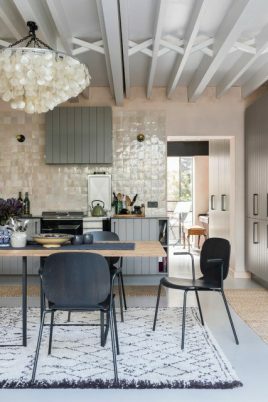 This might sound a bit silly, but polished concrete flooring comes in a spectrum of colours, so the grey ‘concrete’ colour choice is not always the first option for clients. Beth wanted a natural look, so the walls of the dairy were left with raw plaster and many of the original features of the building were also kept intact. Our polished concrete Installation was delayed several times due to the late arrival of the windows and various technical difficulties arising from transforming such an old building. 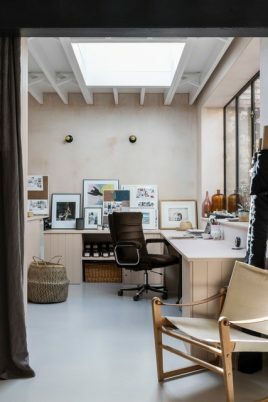 However, here at the Polished Concrete Co. we try to work flexibly with all our clients, as we are well aware bespoke projects are always very individual and come with their own challenges. 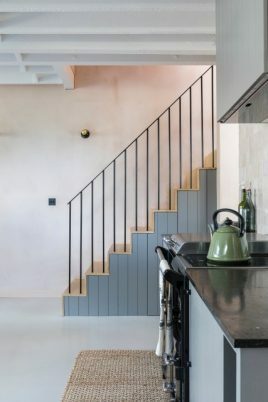 Our years of experience installing micro cement and polished concrete systems have helped us to create the perfect process whereby we try to work with the architect, designer and clients as closely as possible, creating a truly individual finish. Beth and Andrew’s floor was “imperfectly perfect”, just the way they like it! This entry was tagged Polished Concrete. Bookmark the permalink.